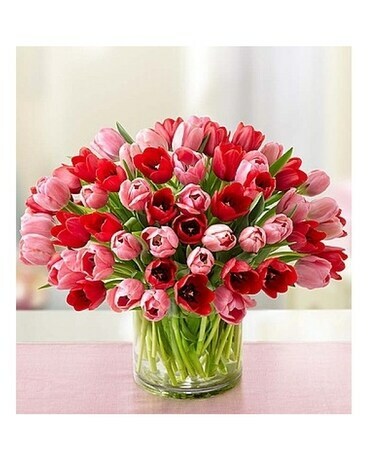 This gorgeous tulip bouquet is the perfect way to express your love and affection! A beautiful arrangement of mixed tulips in a clear vase that is unforgettable! Tulip colors may vary depending on availability.